Home > Why Us > Why use Maddisson Employment & Training Group? Why use Maddisson Employment & Training Group? Since 2002, Maddisson Employment & Training Group has delivered Training to thousands of people. We offer training at a flat, per session fee. This means one flat fee for up to 10 people. We understand each business has their own needs and we are flexible enough to accommodate. We have very high completion rates of Trainees. We quickly ascertain the level of skill and knowledge of the Trainee and we deliver accordingly. We build and enjoy long term relationships with our clients. Maddisson Employment & Training Group is registered with the NSW & Australian governments to deliver Training and Qualifications. Learn and appreciate what other people do in different roles in your organisation. Feel valued, cared about and respected. Stay longer and perform better in their job. More appreciation of and better co-ordination between your staff and departments. A more positive workplace culture. More retention and less recruiting. 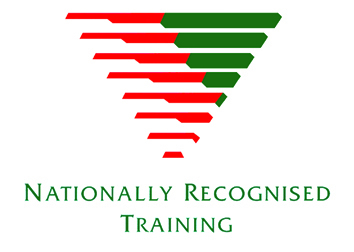 Deliver nationally accredited, face to face Training and Qualifications to your people. Deliver Training at your workplace. Schedule Training at a time that best suits your logistics. Customise Training to your organisation’s specific operations. Customise Training to target your individual employee needs. Cost Neutral Training! Ask us about the funding that the Commonwealth and NSW Government provides so that your employees can do our Training at no cost to you. Flat Fee Training. If funding is not available, we deliver our Training at a flat, per session fee (that is, not a per Trainee fee). This way, you can add more people per session to get better value! If you want, divide the flat fee by (say) 10 people to give you a per Trainee fee. You can see the value, right?